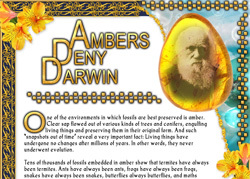 When Darwin's The Origin of Species was published in 1859, it was believed that he had put forward a theory that could account for the extraordinary variety of living things. He had observed that there were different variations within the same species. For instance, while wandering through England's animal fairs, he noticed that there were many different breeds of cow, and that stockbreeders selectively mated them and produced new breeds. Taking that as his starting point, he continued with the logic that "living things can naturally diversify within themselves," which means that over a long period of time all living things could have descended from a common ancestor. However, this assumption of Darwin's about "the origin of species" was not actually able to explain their origin at all. As a result of developments in genetic science, it is now understood that increases in variety within one species can never lead to the emergence of another new species. What Darwin believed to be "evolution," was actually "variation." Variation, a term used in genetics, refers to a genetic event that causes the individuals or groups of a certain type or species to possess different characteristics from one another. For example, all the people on earth carry basically the same genetic information, yet some have slanted eyes, some have red hair, some have long noses, and others are short of stature, all depending on the extent of the variation potential of this genetic information. Variation does not constitute evidence for evolution because variations are but the outcomes of different combinations of already existing genetic information, and they do not add any new characteristic to the genetic information. The important thing for the theory of evolution, however, is the question of how brand-new information to make a brand-new species could come about. Variation always takes place within the limits of genetic information. In the science of genetics, this limit is called the "gene pool." All of the characteristics present in the gene pool of a species may come to light in various ways due to variation. For example, as a result of variation, varieties that have relatively longer tails or shorter legs may appear in a certain species of reptile, since information for both long-legged and short-legged forms may exist in the gene pool of that species. However, variations do not transform reptiles into birds by adding wings or feathers to them, or by changing their metabolism. Such a change requires an increase in the genetic information of the living thing, which is certainly not possible through variations. Darwin was not aware of this fact when he formulated his theory. He thought that there was no limit to variations. In an article he wrote in 1844 he stated: "That a limit to variation does exist in nature is assumed by most authors, though I am unable to discover a single fact on which this belief is grounded. 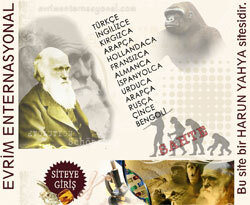 "28 In The Origin of Species he cited different examples of variations as the most important evidence for his theory. The reason Darwin cited such a far-fetched example was the primitive understanding of science in his day. Since then, in the 20th century, science has posited the principle of "genetic stability" (genetic homeostasis), based on the results of experiments conducted on living things. This principle holds that, since all mating attempts carried out to transform a species into another have been inconclusive, there are strict barriers among different species of living things. This meant that it was absolutely impossible for animal breeders to convert cattle into a different species by mating different variations of them, as Darwin had postulated. As we have seen, genetic science has discovered that variations, which Darwin thought could account for "the origin of species," actually do no such thing. For this reason, evolutionary biologists were forced to distinguish between variation within species and the formation of new ones, and to propose two different concepts for these different phenomena. Diversity within a species—that is, variation—they called "microevolution," and the hypothesis of the development of new species was termed "macroevolution." These two concepts have appeared in biology books for quite some time. But there is actually a deception going on here, because the examples of variation that evolutionary biologists have called "microevolution" actually have nothing to do with the theory of evolution. 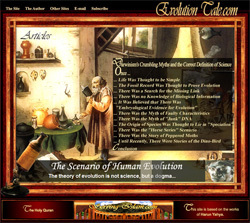 The theory of evolution proposes that living things can develop and take on new genetic data by the mechanisms of mutation and natural selection. However, as we have just seen, variations can never create new genetic information, and are thus unable to bring about "evolution." Giving variations the name of "microevolution" is actually an ideological preference on the part of evolutionary biologists. The impression that evolutionary biologists have given by using the term "microevolution" is the false logic that over time variations can form brand new classes of living things. And many people who are not already well-informed on the subject come away with the superficial idea that "as it spreads, microevolution can turn into macroevolution." One can often see examples of that kind of thinking. Some "amateur" evolutionists put forward such examples of logic as the following: since human beings' average height has risen by two centimeters in just a century, this means that over millions of years any kind of evolution is possible. However, as has been shown above, all variations such as changes in average height happen within specific genetic bounds, and are trends that have nothing to do with evolution. 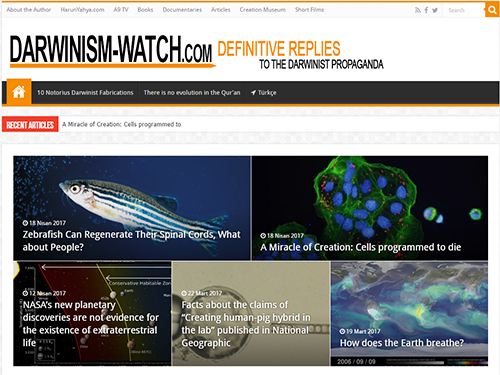 So for these reasons, evolutionists are still unable to resolve Darwin's problem of the "origin of species." 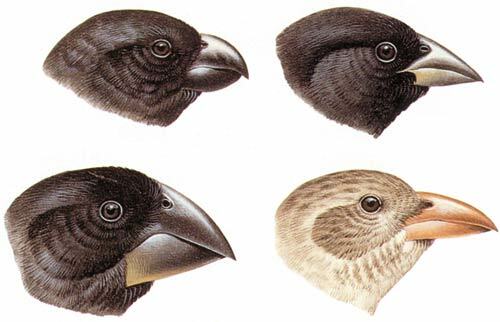 Finch beaks, which Darwin saw in the Galapagos Islands and thought were evidence for his theory, are actually an example of genetic variation, and not evidence for macroevolution. In order for the fossil record to shed any light on the subject, we shall have to compare the hypotheses of the theory of evolution with fossil discoveries. 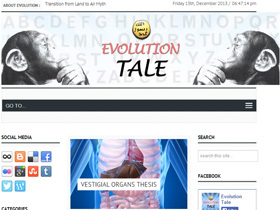 According to the theory of evolution, every species has emerged from a predecessor. One species which existed previously turned into something else over time, and all species have come into being in this way. 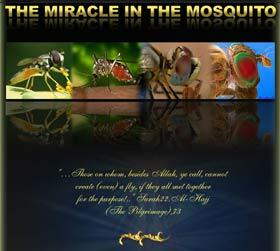 According to the theory, this transformation proceeds gradually over millions of years. If this were the case, then innumerable intermediate species should have lived during the immense period of time when these transformations were supposedly occurring. For instance, there should have lived in the past some half-fish/half-reptile creatures which had acquired some reptilian traits in addition to the fish traits they already had. Or there should have existed some reptile/bird creatures, which had acquired some avian traits in addition to the reptilian traits they already possessed. Evolutionists refer to these imaginary creatures, which they believe to have lived in the past, as "transitional forms." The only explanation Darwin could come up with to counter this objection was the argument that the fossil record uncovered so far was inadequate. 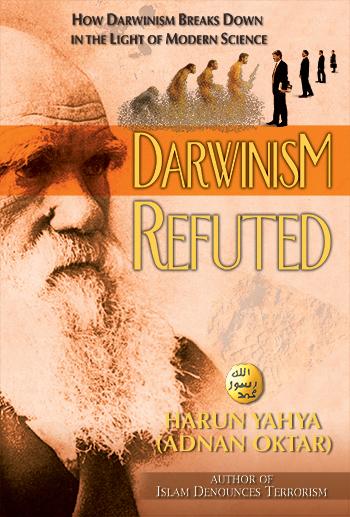 He asserted that when the fossil record had been studied in detail, the missing links would be found. Believing in Darwin's prophecy, evolutionary paleontologists have been digging up fossils and searching for missing links all over the world since the middle of the nineteenth century. Despite their best efforts, no transitional forms have yet been uncovered. All the fossils unearthed in excavations have shown that, contrary to the beliefs of evolutionists, life appeared on earth all of a sudden and fully-formed. If evolution had really happened, then living things should have emerged by gradual changes, and have continued to change over time, whereas the fossil record shows the exact opposite. Different groups of living things suddenly emerged with no similar ancestors behind them, and remained static for millions of years, undergoing no changes at all. 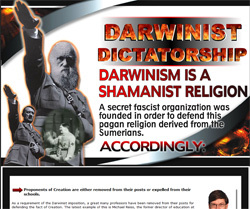 There is no gradual development in the fossil record such as Darwin had predicted. Different species emerged all at once, with their own peculiar bodily structures. Horseshoe crab" fossil from the Ordovician Age. 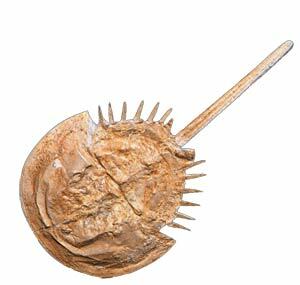 This 450-million-year-old fossil is no different from specimens living today. Oyster fossils from the Ordovician Age, no different from modern oysters. 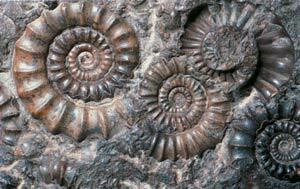 Ammonites emerged some 350 million years ago, and became extinct 65 million years ago. 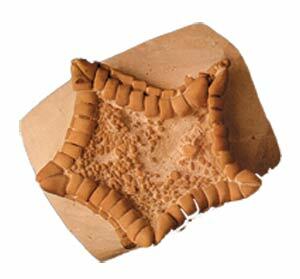 The structure seen in the fossil above never changed during the intervening 300 million years. 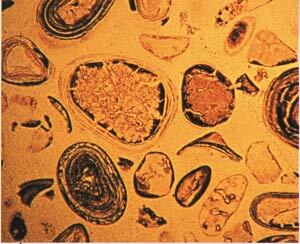 1.9-million-year-old fossil bacteria from Western Ontario in the United States. They have the same structures as bacteria living today. Some 150 years ago Darwin put forward the following argument: "Right now there are no transitional forms, yet further research will uncover them." Is this argument still valid today? In other words, considering the conclusions from the entire fossil record, should we accept that transitional forms never existed, or should we wait for the results of new research? The wealth of the existing fossil record will surely answer this question. 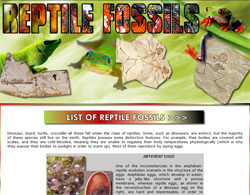 When we look at the paleontological findings, we come across an abundance of fossils. Billions of fossils have been uncovered all around the world.48 Based on these fossils, 250,000 distinct species have been identified, and these bear striking similarities to the 1.5 million identified species currently living on earth.49 (Of these 1.5 million species, 1 million are insects.) Despite the abundance of fossil sources, not a single transitional form has been uncovered, and it is unlikely that any transitional forms will be found as a result of new excavations. 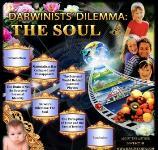 This situation invalidates the above argument, which has been stated by Darwinism for 140 years. The fossil record is rich enough for us to understand the origins of life, and explicitly reveals that distinct species came into existence on earth all of a sudden, with all their distinct forms. 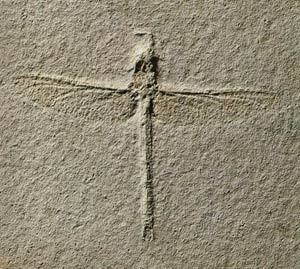 140-million-year-old dragonfly fossil found in Bavaria in Germany. It is identical to living dragonflies. 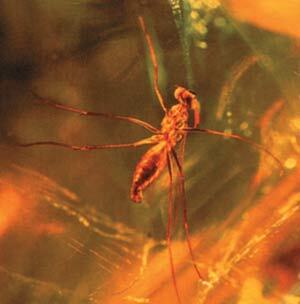 An insect fossil in amber, some 170 million years old, found on the Baltic Sea coast. It is no different from its modern counterparts. 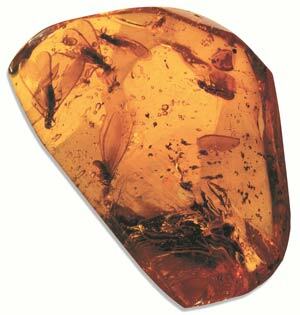 25-million-year-old termite fossils in amber. 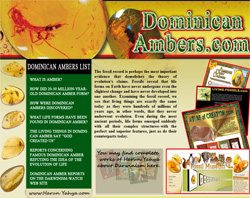 They are identical to termites living today. 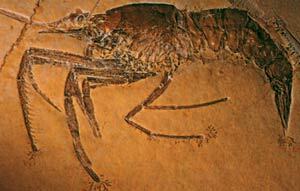 170-million-year-old fossil shrimp from the Jurassic Age. It is no different from living shrimps. 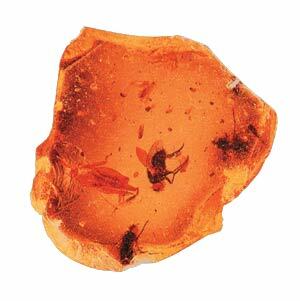 35-million-year-old flies. They have the same bodily structure as flies today. 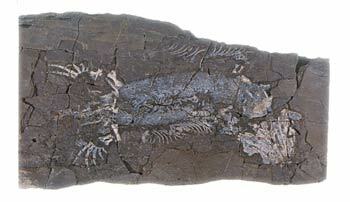 The oldest known fossil scorpion, found in East Kirkton in Scotland. 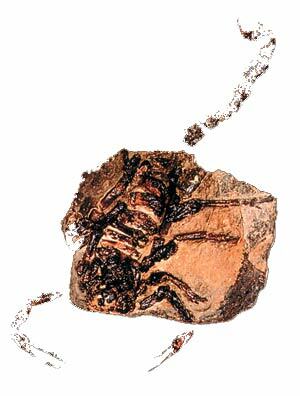 This species, known as Pulmonoscorpius kirktoniensis, is 320 million years old, and no different from today's scorpions. 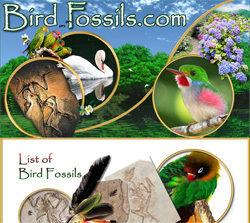 That individual kinds of fossils remain recognizably the same throughout the length of their occurrence in the fossil record had been known to paleontologists long before Darwin published his Origin. Darwin himself, ...prophesied that future generations of paleontologists would fill in these gaps by diligent search ...One hundred and twenty years of paleontological research later, it has become abundantly clear that the fossil record will not confirm this part of Darwin's predictions. Nor is the problem a miserably poor record. The fossil record simply shows that this prediction is wrong. Let us now examine the facts of the fossil record, which have been silenced for so long, in a bit more detail. In order to do this, we shall have to consider natural history from the most remote ages to the present, stage by stage. 28 Loren C. Eiseley, The Immense Journey, Vintage Books, 1958, p. 186.; cited in Norman Macbeth, Darwin Retried: An Appeal to Reason, Harvard Common Press, Boston, 1971, p. 30. 29 Charles Darwin, The Origin of Species: A Facsimile of the First Edition, Harvard University Press, 1964, p. 184. 30 Norman Macbeth, Darwin Retried: An Appeal to Reason, Harvard Common Press, Boston, 1971, pp. 32-33. 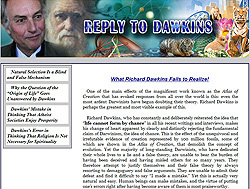 31 Norman Macbeth, Darwin Retried: An Appeal to Reason, Harvard Common Press, Boston, 1971, p. 36. 32 Jerry Bergman, Some Biological Problems With the Natural Selection Theory, The Creation Research Society Quarterly, vol. 29, no. 3, December 1992. 33 Loren Eiseley, The Immense Journey, Vintage Books, 1958. p 227., cited in Norman Macbeth, Darwin Retried: An Appeal to Reason, Harvard Common Press, Boston, 1971, p. 33. 35 R. Lewin, "Evolutionary Theory Under Fire", Science, vol. 210, 21 November, 1980, p. 883. 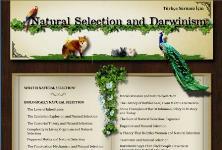 36 H. Lisle Gibbs and Peter R. Grant, "Oscillating selection on Darwin's finches," Nature, 327, 1987, pp. 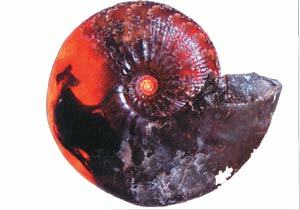 513; For more detailed information, please see Jonathan Wells, Icons of Evolution, 2000, pp. 159-175. 38 Pierre Grassé, Evolution of Living Organisms, Academic Press, New York, 1977, p. 82. 39 Charles Darwin, The Origin of Species: A Facsimile of the First Edition, Harvard University Press, 1964, p. 179. 41 Robert L. Carroll, Patterns and Processes of Vertebrate Evolution, Cambridge University Press, 1997, p. 25. 42 K. S. Thomson, Morphogenesis and Evolution, Oxford, Oxford University Press, 1988, p. 98. 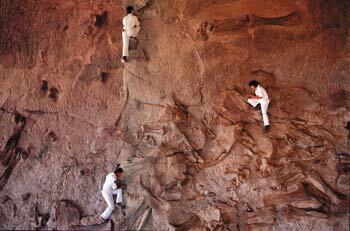 43 Francis Hitching, The Neck of the Giraffe: Where Darwin Went Wrong, Tichnor and Fields, New Haven, 1982, p. 40. 45 Stephen Jay Gould and Niles Eldredge, "Punctuated Equilibria: The Tempo and Mode of Evolution Reconsidered", Paleobiology, 3 (2), 1977, p. 115. 46 Robert L. Carroll, Patterns and Processes of Vertebrate Evolution, Cambridge University Press, 1997, p. 146. 47 S. J. Gould & N. Eldredge, Paleobiology, vol. 3, 1977, p. 147. 49 David Day, Vanished Species, Gallery Books, New York, 1989. 52 R. Wesson, Beyond Natural Selection, MIT Press, Cambridge, MA, 1991, p. 45.